Time is flying by, but I have been most productive, so time can fly on by for now. The task at hand was to put some sort of flooring down in my rig, to give my floor loom a level surface. Well… the best option is eluding me, so I have literally put that on the back burner for now. I will not make any changes to the existing floor until after I have used it as a weaving space. Probably one of my smarter decisions this summer. With that task put aside for the moment, I went in search of my tools of trade. I need shuttles, bobbins, bobbin winder, ball winder, small swift, warping wheel, reeds… and of course, yarns. Yesterday, the sun held and we (friend Cheri & I) pulled more out of storage searching for all this. I almost batted zero, when I spotted a box late in the day. It contained the parts of my warping wheel. Yippee! I even got my hand on the I-bolts needed to put it back together again. And I put my hand on some of the yarn… The rest is still in hiding. And will remain in hiding, as I am officially done with the storage until next year at the earliest. I can even walk into the storage now. Amazing there is a path in to it now. So now need to finish the task of pulling unneeded stuff out of my rig, adding the weaving equipment, and get to weaving. You see, I have a deadline for a Sample Exchange in October. I need to make samples to share with all that signed up for the exchange, in turn, I will get each of their samples. I great way to explore different structures, colors. I need to complete this task before I hit the road at the end of August. I actually believe I will succeed now, whereas it was not looking so positive yesterday. My car is now For Sale, as of two days ago. Lots of interest, but no offer of money yet. Here’s hoping it sells soon. 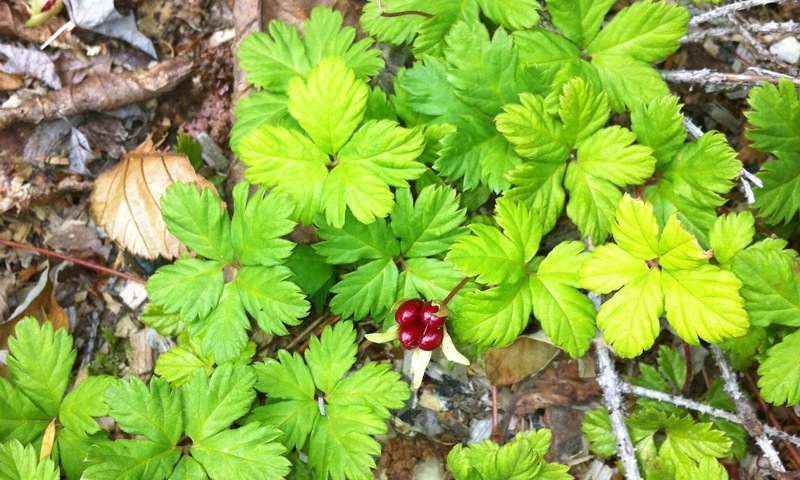 And… the berries came super early!!! 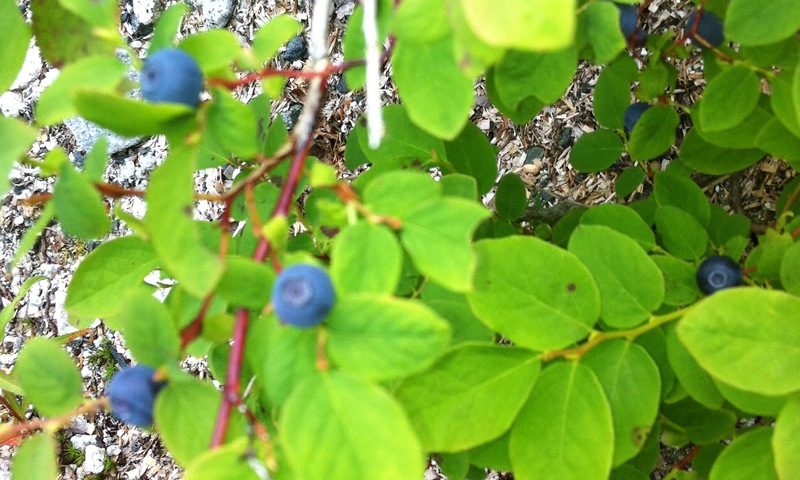 The hot weather made the berries happen nearly 2 months ahead of schedule. Normally late August… and at this Salmon Run Campground, their 9 year old daughter beat the bears to the berries… they were still a little tart for me.